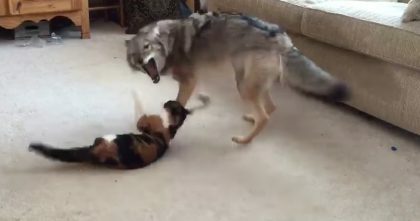 He Goes Outside For A Bike Ride, But Then… Just Watch What’s On His Shoulder, Oh My Goodness! This man takes his cat everywhere with him… Even on his bike rides through town. And guess where this cat sits?? Not in a basket on the handlebars…. Right on the man’s shoulders!! Say whaaaaaat??? 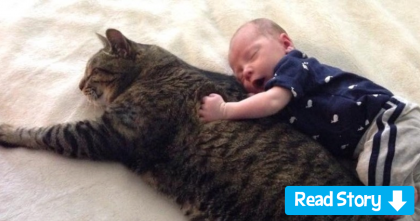 This little kitty is not afraid ONE BIT! He looks very safe and comfortable while being able to look around and see the sights with his human friend. OMG! I’ve never seen anything like it! 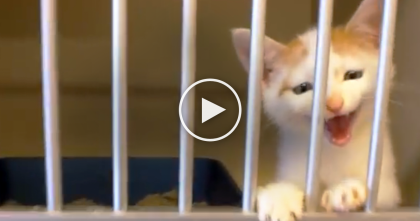 Poor Un-Adopted Little Kitten Tries To Get Humans Attention At Shelter… Now Watch What He Does. 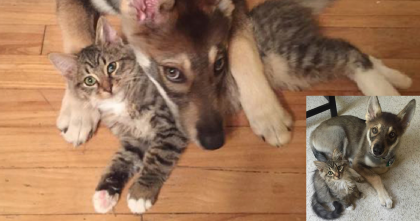 They Let This Puppy Choose Which Kitten To Adopt…When You See The Results?? AMAZING. 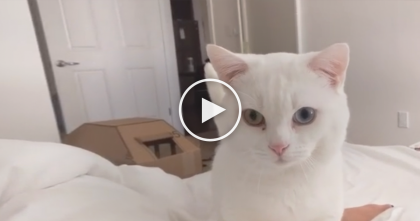 They’re Trying To Get Some Sleep, But It’s Impossible… Watch The Reason Why, It’s Just TOO Cute! !